There are quite some brands and amateur 3D-print enthusiasts, who print eyewear frames. We see those frames pop up on the internet every now and then. Printing eyewear is a great idea in itself, but printing high-quality eyewear that’s comfortable enough to wear 24/7 on your skin, close to your eyes, requires a lot more than a 3D printer and a frame-design. Meet German eyewear brand Mykita, a high-end eyewear design company, founded in 2003. In 2011 they launched the first commercially produced collection 3D-printed luxury sunglasses, named Mykita Mylon. The Mylon designs are slick, beautiful, modern and the frames are a pleasure to wear. It took the company years of R&D to find the right materials and to develop soft, yet strong finishes and coatings that could stand, basically, 24/7 face contact. 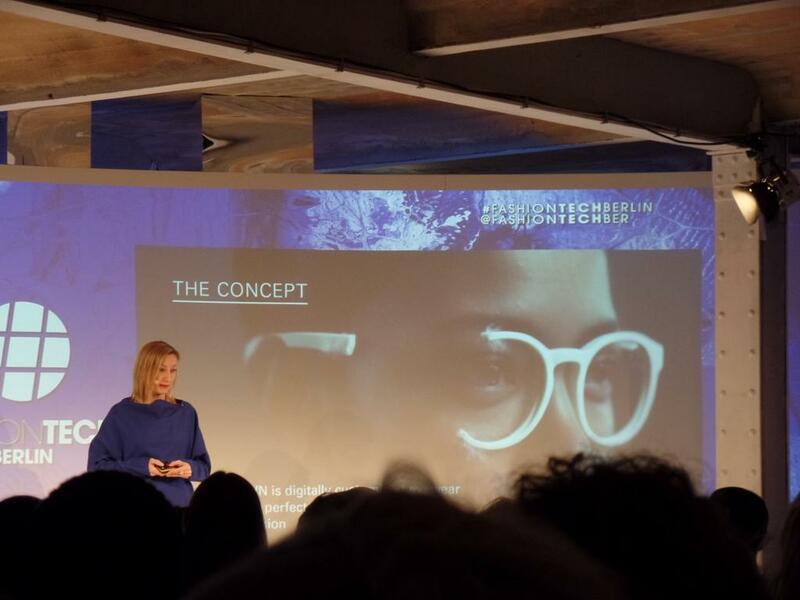 At FashionTech Berlin last January 2015, Mykita presented the next step in their 3D-printing revolution: Mykita My Very Own. 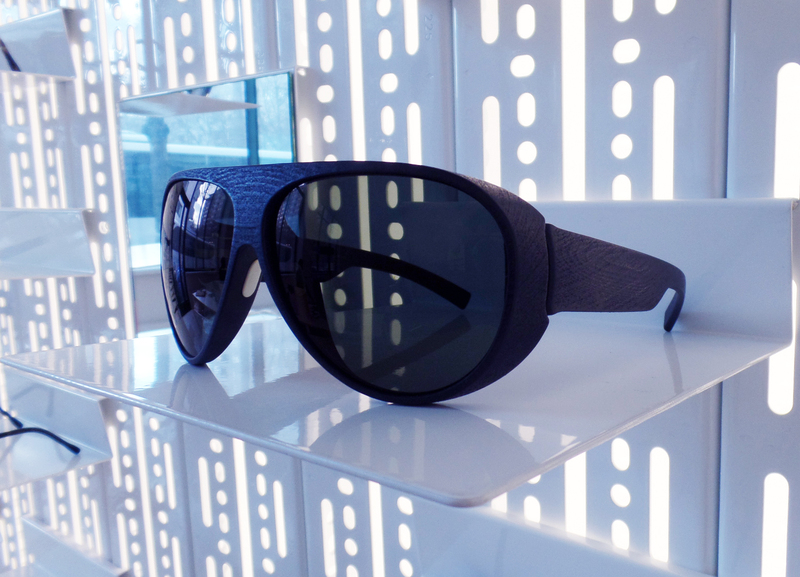 It is bespoke eyewear, made by digital face scanning, secret algorithms and perfect collaboration with optometrists. The MVO collection offers a series of beautiful frames, suitable for optical prescription glasses and for sun protection. During the event I made an appointment with global brand director Xenia Deger at Mykita’s HQ in Berlin, to get my face scanned. The HQ is located in the beautiful historical ‘Pelikan House’ in Kreuzberg. I meet Xenia in the eyewear showroom – a candy store for eyewear lovers, where Mykita has just installed the face scanner. I don’t wear prescription glasses, but I am a big fan of sun glasses, all year long. Xenia explains that shopping for prescription eyewear can be quite a challenge (not to say a crusade), especially when one’s blessed with high cheek bones, broad eyes or heavy bone structure. If you’re looking for a specific frame design, it’s hard to get your hands on one that fits the shape of your face perfectly. Less distressing maybe, but also hunting for perfect sun glasses can be nerve wrecking . Well, dear eyewear lovers, we’re about to be saved! 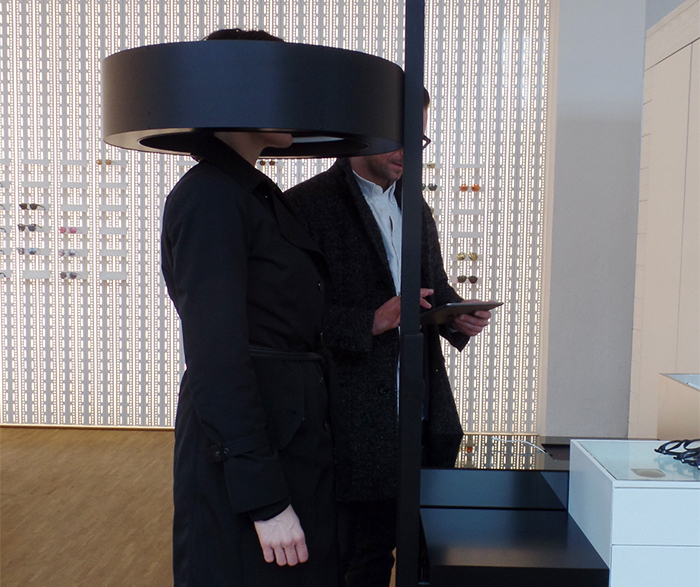 Xenia asks me to step into the face scanner – especially developed for Mykita. I do, and the machine starts scanning, it takes 30 seconds. My face with the chosen frame appears on the iPad. Now the optometrist stretches and pushes the frame into the perfect shape on my digital face. It’s pretty amazing to see how the software changes the frame without – very important – losing the beauty and balance of the frame design. Et voilà, the perfect frame, just for me. I also get to pick the colour of the frame, the glasses (light green please) and the material of the hinges (gold plated please). This is amazing, it’s a true revolution in eyewear. My Very Own offers the possibility to turn designs into bespoke designs for everyone. You wouldn’t be surprised to hear that the official launch of MVO last year (at a big international eyewear tradeshow) caused quite a stir (and maybe even distress) amongst the attending eyewear brands and buyers. Obviously, all of Mykita’s design work is top secret and well patented with ‘Deutsche Gründlichkeit’. Mykita has been developing and perfecting 3D-printing for eyewear since 2007 so it’s pretty far ahead of the game. Mykita My Very Own is in pilot phase and will be rolled out this spring 2016 at selected Mykita dealers worldwide and Mykita stores. Mykita has its own shops in Berlin, Paris, New York, Monterrey, Cartagena, Zurich, Zermatt, Vienna and Tokyo. The brand’s eyewear collections are in addition stocked by selected opticians and fashion stores in over 70 countries.